If a rotisserie fantasy baseball league had a younger brother, it would be the points league. Not that it’s necessarily inferior, but the points format is trying to make a name for itself after the roto leagues have paved the way for decades. 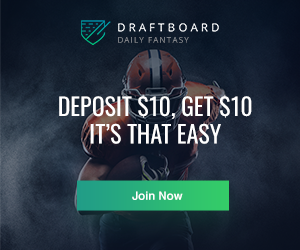 It’s a setup that’s gaining some popularity as it pits you against your league-mates in a weekly head-to-head battle, comparable to fantasy football. 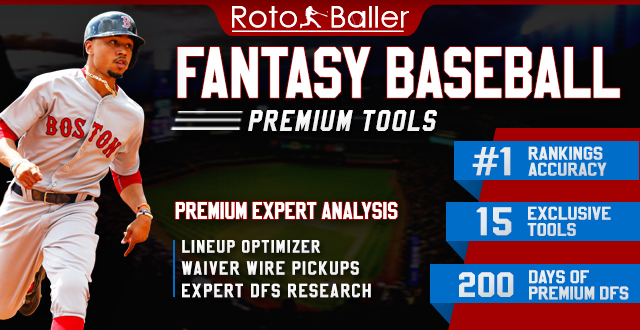 With most fantasy baseball articles referring to mainly 5x5 roto scoring, we’ll plunge into a few starting pitchers who have different values attached to them in a points league. There are no categories to balance out when drafting your roster, so managers need to focus on specific qualities in pitchers when deciding on who to select. To determine a higher value for a pitcher, K-BB% and K/BB are essential statistics to study because in most points leagues a strikeout is worth the same as a walk. It is more valuable to have a pitcher with less strikeout potential if they can limit the free pass significantly better; that way he can accumulate more points. Innings-eaters are also more beneficial for your team considering more innings equal more points for your squad. 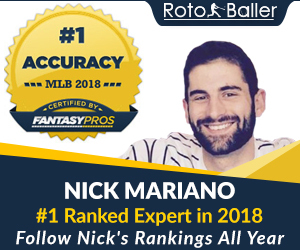 Now that we understand these concepts a bit more let’s look at some overvalued and undervalued arms you’ll want to target or avoid in your points league. Jack Flaherty had a stellar rookie season in 2018, but some qualities downgrade him points leagues. He averaged just over 5.1 innings a start as the Cardinals kept him on a rather short leash a year ago. They will continue this approach with their prized hurler in 2019, limiting his potential for wins, and a larger accumulation of strikeouts. Flaherty’s 9.6% walk rate also would have finished among the league's bottom-seven in this category, further driving down his overall value in this format. The glaring concern with Rich Hill surrounds his inability to stay on the field. It’s a foregone conclusion that Hill will continue to ail from blister problems, not to mention any other pending issues that come with a 39-year-old body. The southpaw has failed to pitch more than 135 IP in over ten years, so we’re looking at a much lower ceiling for points than someone who will toss 180 IP. Hill will undoubtedly remain effective when on the mound, but missing about a third of the season could crush your goal of a championship if he's injured during or close to your playoffs. One of the many young hurlers on the Braves team already making strides in the majors is Sean Newcomb. The left-hander has massive potential in the strikeout column, which drafters drool over in roto leagues. In a points setup, however, Newcomb’s ghastly 11.6% walk rate from last season proves he’s got control issues. His 11.4 K-BB% was a bottom-15 number in the bigs in 2018, canceling out the majority of his points earned from generating a strikeout. As with any young pitcher, Newcomb will have a cap on his innings as well in 2019. 180 IP figures to be a best-case scenario, and with control issues, he isn't as probable to pitch deep into games. Zack Greinke has lost the sexiness attached to his name from a few years ago, but that doesn’t mean he’s not a fantasy asset. He’s now eclipsed over 200 IP in four out of five seasons, making him an ironman of sorts in this day and age of baseball. While his peak strikeout days are behind him, Greinke is efficient with control as he finished in the top-10 in BB% in 2018 (5.1 BB%). He’s demonstrated a long track history of this command and an ability to rack up innings. These factors make him a suitable target as your SP2. Fantasy owners shy away from German Marquez in roto leagues because of the hitter’s paradise that he calls home. His swing-and-miss dominance can counter the inflated amount of runs that he may give up due to this fact. His 28.2% K-rate finished as 10th-best a year ago, and he has a strong history in the minors of minimizing walks. His 21.2 K-BB% in 2018 was impressive for a 24-year-old, but there’s absolutely room for growth in this category with more seasoning under his belt. Ross Stripling is quickly developing into a favorite target in all types of fantasy leagues. A unique attribute that Stripling has is his SP/RP designation. 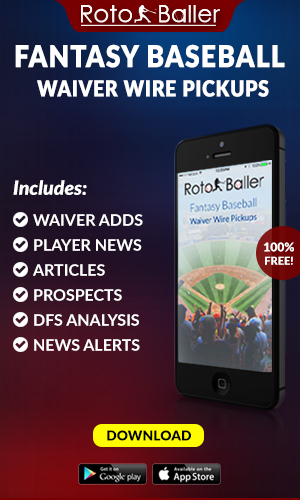 In points leagues, relievers aren’t as necessary as you don’t need to search for saves like you do in a roto format. You can throw Stripling in an RP slot on your roster, and he can pile up more points than your standard RP2 or RP3 that you would have to choose in a roto league. Stripling also carried an impressive 22.7 K-BB% in 2018, good enough for an eighth-place finish among qualifying pitchers in 2018. Innings may be a concern, but in your RP slot, Stripling is a steal in value.